Home News March 23, 1940: Who was the non-Muslims hero of the Pakistan Movement? March 23, 1940: Who was the non-Muslims hero of the Pakistan Movement? On March 23, 1940, the All India Muslim League led by Quaid-e-Azam Mohammad Ali Jinnah demanded an alienation of the majority of Muslims. Many people believe Pakistan Movement was the only movement of Muslims as a result, Pakistan has come into existence, but history tells that many non-Muslim figures also supported Quaid-e-Azam and Muslims in movement freedom. Who was the non-Muslims hero of the Pakistan Movement? On 23 March 1940, in the meeting held at Quaid-e-Azam Mohammad Ali Jinnah in Mito Park of Lahore, when a separate settlement resolution was approved for Muslims. So on this occasion non-Muslim politician Diwan Bahadur Sittia Parkash Singha, F.E. Chaudary and R A Gomesand were also present. 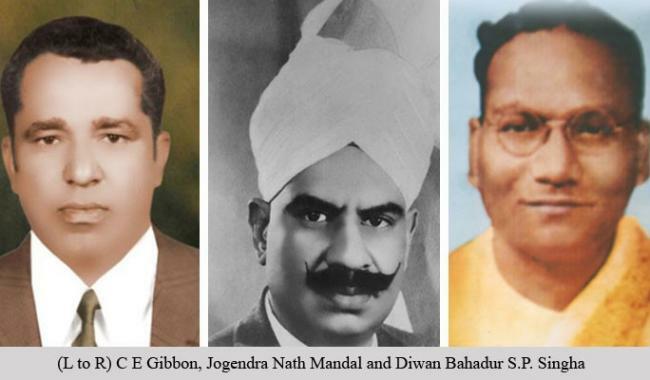 Similarly, Divan Diwan Bahadur Sittia Parkash Singha, Rajkumari Amrit, Chandu Lal, CE Gibbon, Alfried Purshad, F.E. Chaudhary and SS Albert, like non-Muslim political workers, were also Muslims in the pursuit of separatism. Jogendra Nath Mandal was also the trusted colleagues of Quaid-e-Azam, who became the first minister of statehood after establishment of Pakistan. Similarly, Assembly Speaker S P Singha also played a decisive role by voting in favor of Pakistan. Sir Victor Turner’s name is also included in the list of key leaders of the movement. Sir Victor Turner was appointed Pakistan’s first finance secretary and was also chairman of the FBR. Very few people know that the first currency note of Pakistan was Sir Victor Turner’s signature. Alvin Robert Cornelius, another Christian leader, like Sir Victor Turner, was also present in Pakistan Movement. After becoming Pakistan, the Minister of Law Jogendra Nath Mandal was appointed later; Quaid-e-Azam made him the Chief Justice of the Lahore High Court. He also has the honor of being the first non-Muslim chief justice of Pakistan. It is also very important that the resolution was written by Mr. Zafarullah Khan, Pakistan. They also belong to the Ahmadi community. The first Indian writer also wrote a non-Muslim poet Jagan Nath Azad on the wish of Quaid-e-Azam and it was also broadcast from Radio Pakistan on August 14, 1947. Similarly, Jamshed Nusserwanjee Mehta, who belonged to the Persian community, was the first mayor of Karachi. They are also called modern architecture of Karachi. Karachi’s famous Jamshed Nusserwanjee Mehta is attributed to his name. Parsi community is considered Karachi’s architectural community.